The Province of the Anglican Church of Burundi organised a six day training workshop on peace and reconciliation for church leaders and representatives from the dioceses. It aimed to engage the church in contributing to peace building and to help people to work for reconciliation whenever conflicts break out. The Church in Burundi has often been called on to play a role in solving community issues. The training provided skills to help people to build peace in communities. During the training participants were taught the keys that help people to resolve conflicts. Advocacy, mediation, negotiation and communication where the main topics on which the sessions focussed. The Bishops of the Province committed themselves to lead as peace makers by example and agreed to fully support clergy, leaders of women and youth leaders in all initiatives towards peace and reconciliation. On behalf of the clergy, priests who attended the training made a commitment to regularly speak of peace in their parishes and communities and to work towards conflict prevention and unity. 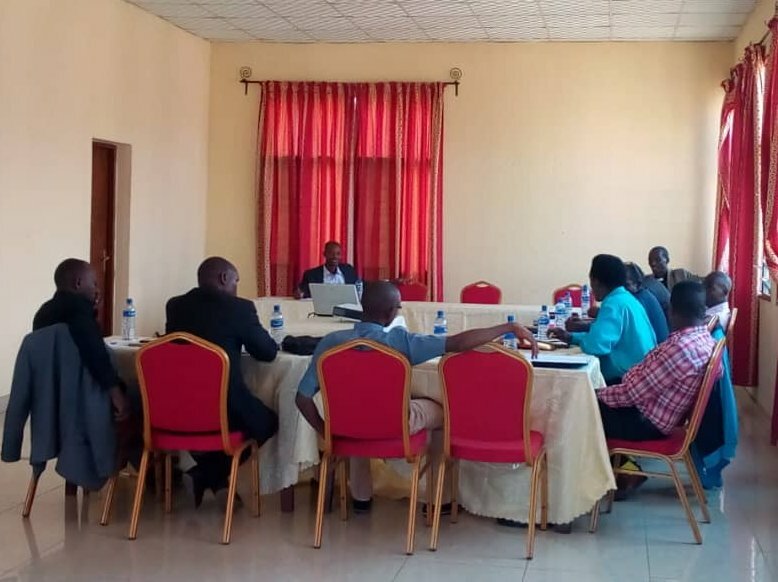 Nine diocesan evangelism coordinators were invited to attend a workshop aimed to strengthen the ministry of evangelism in the Anglican Church of Burundi. The Provincial Secretary, Rev. Felibien Ndintore officially opened the training by urging the participants to reflect on what makes a worthyservant of God. Working for the sharing of the Gospel should bring a sense of satisfaction, fulfilment and joy to every Christian especially those called to be pastors. He warned the participants that evangelism is under threat from distractions and noises that prevent people hearing the cry of those needing salvation. He said the workshop was an opportunity to reflect on strategies and solutions that would better address the challenges surrounding evangelism. The Province of the Anglican Church of Burundi has recently created a department in charge of evangelism that will work closely with diocesan departments to promote evangelism throughout the dioceses. 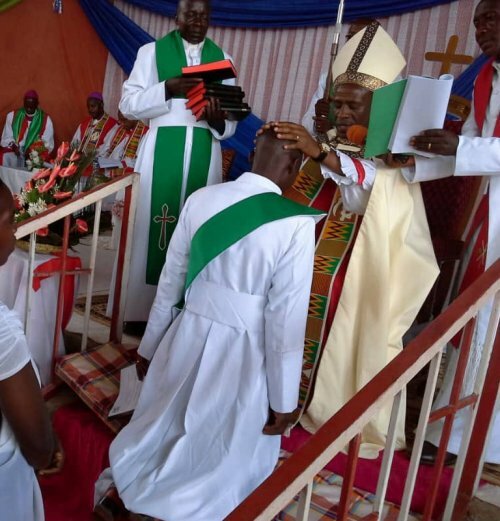 There was amazement and excitement among the congregation as the first ordination service took place in the Diocese of Rutana that was established a year ago. Seven deacons and four priests were ordained by Bishop Pontien Ribakare who also made five people Canons. The ordination of priests will allow for more sub-parishes to be served by a priest and enable communities to grow spiritually. They will also help to facilitate initiatives in holistic development. In collaboration with the Provincial office the Diocese of Rutana is initiating a community development based approach in Giharo commune. Recently a baseline survey was conducted to find out the needs of the communities and how community members might contribute to them. Ordinations also took place in Makamba Diocese where seven deacons and four pastors were ordained.